Creating a folder for the documents we use on a regular basis is a way to save time when we are ready to use them. This applies to the agent and the broker level. In dotloop, you are able to use your local, state and office forms (as long as you have permission to use them) for your real estate transactions. 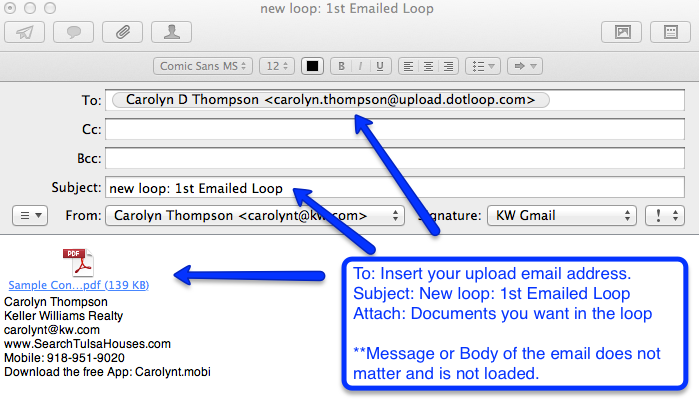 Once you are logged into the system (dotloop.com), click on the “templates” at the top right (it’s the one that looks like papers). To create a new folder, click on “Add Folder” and it will ask you to give it a name and click “Create Folder”. Once you have the new folder, documents will need to be added to it. Click on “Add Documents” at the top right. This gives you the option for uploading them from your computer (PDF’s) or selecting from templates, which are your live forms. When selecting from templates, select from the office name or “Version Now”. AGENTS: If you are setting them up from an agent level, you will see the office name (example: Keller Williams Realty Advantage) or board name (example: Greater Tulsa Association of Realtors). ADMINS: If you are setting them up from an office or admin level, you will see “Version Now” documents, which are the live forms that your office has loaded into the system. Admin folder will also have to be “shared” with the office so that your agents can use the newly created folder of documents. ALL: Once you have selected the forms you want to add, click “add documents” and they will now be in your folder. 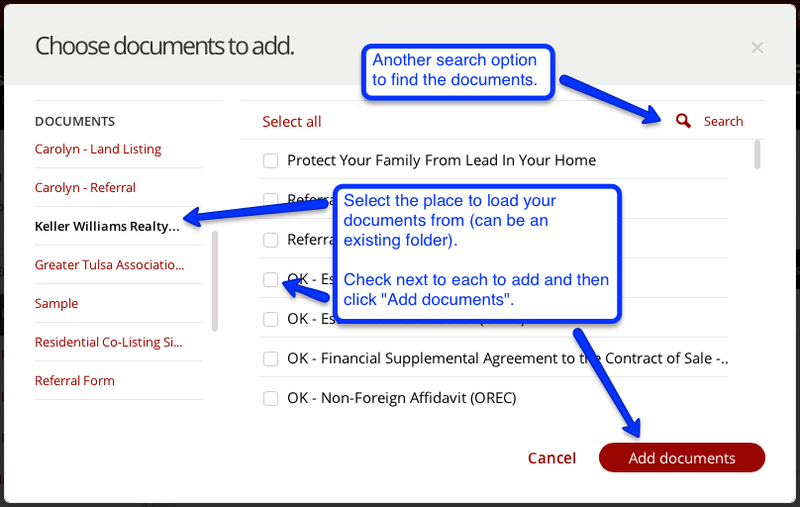 If your forms have changed and new ones are in the system for existing folders, use the same process as listed above with the exception of clicking on the existing folder and modifying the list instead of creating a new one. 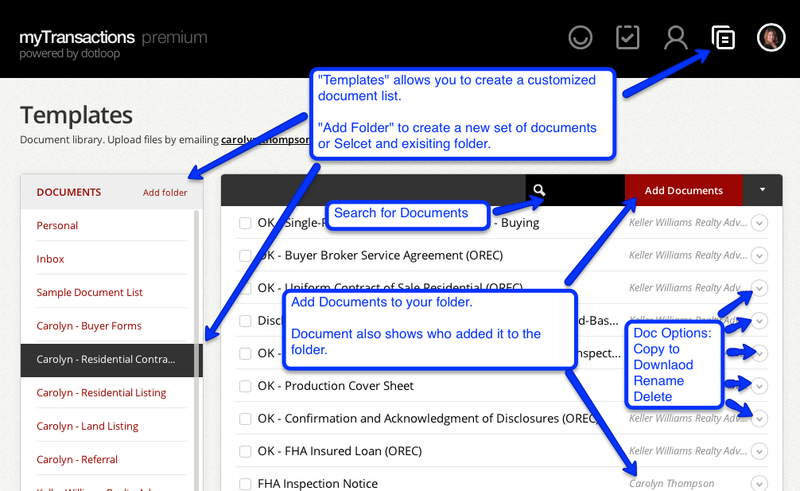 Now that you have your folders creating and don’t forget you can also set the default information on each form once it is added to your personal folder so that each time you pull in the document from that folder, it will have the defaulted information on it. To do this, click on the document, edit it and then click “save”. This is a great way to save time! Happy Looping!